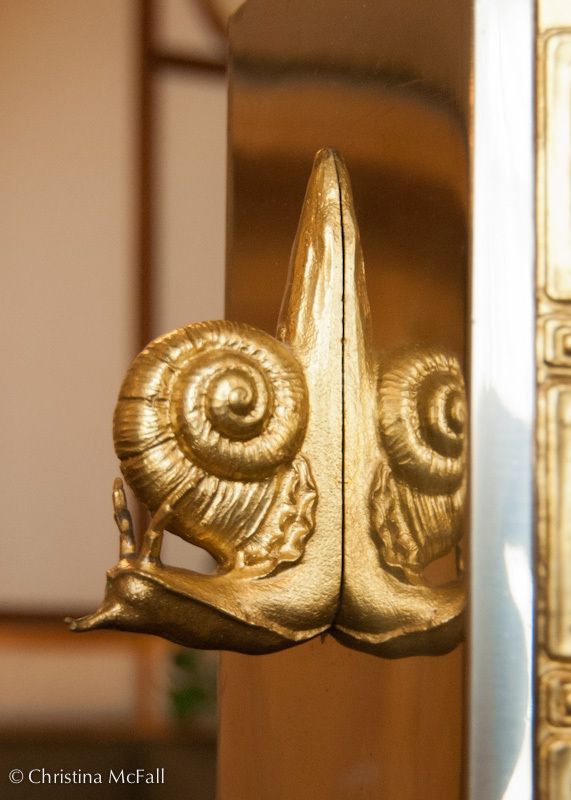 This lovely snail sculpture is adorning the side of a small built-in aquarium feature in the Czech art nouveau palace known as the Municipal House (or Obecní dům) in Prague. The Municipal House was opened in 1912 and is a treasure trove of art nouveau decoration with work by Alphons Mucha and other Czech artists of the time. I took a tour of it this autumn and I’ll be writing up a post, but for now I give you this image. Snails are one of my favorite motifs!